Mater Dei students and faculty donated 175 total items (new socks, hats, scarves and gloves) to the recent winter clothing drive hosted by Student Council for the benefit of BCMW in Breese. We thank the Mater Dei community for their generosity! 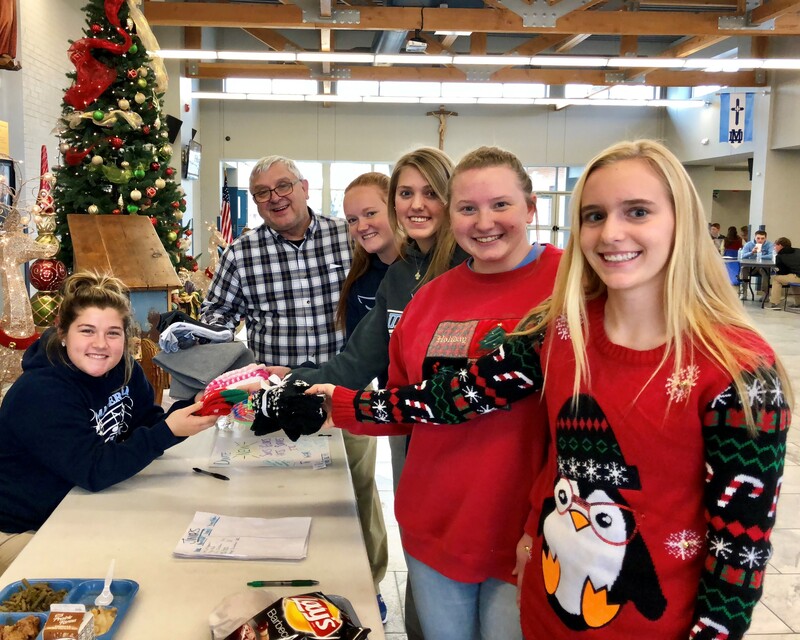 Student Council member Sophia Mondt (left) accepts donations for the recent clothing drive from (right, front to back) Mya Albers, Rachel Gerdes, Alyssa Noll, Carly Kampwerth, and Mr. Dwight Thomas.